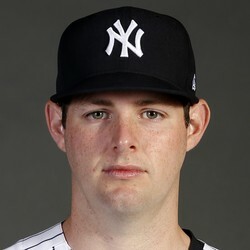 Jordan Montgomery underwent Tommy John surgery Thursday. Montgomery also had a loose bone chip removed from his elbow during Thursday's procedure. As is the case with any Tommy John surgery, the left-hander will likely remain sidelined for 12-to-14 months, which casts serious doubt on his status for the 2019 season. Look for updates on Montgomery's status throughout the year, especially once fall rolls around and he's able to gradually work into a rehab pattern.